Hello ... Hello ... my old friends ... It's great to see you once again! 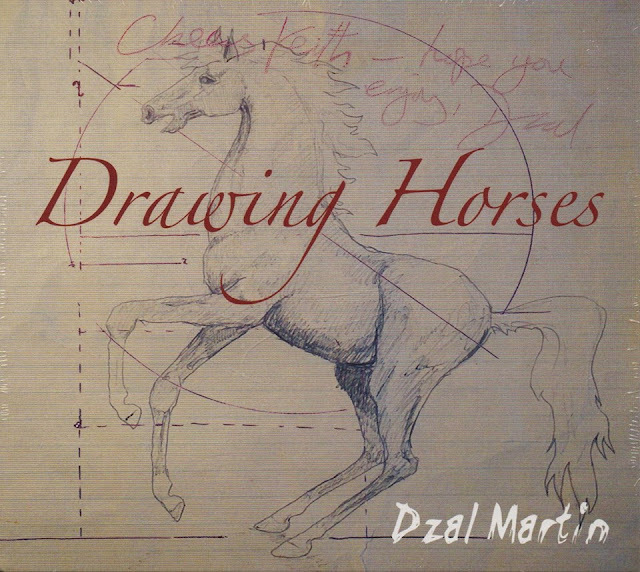 Folks who call in regularly here at elobeatlesforever (elobf) may recognize Dzal Martin as one of the amazing septet who are The Trembling Wilburys. But there is much more to this in demand guitarist who has been involved in many musical projects down the years including No Dice and Box Of Frogs (the latter including former ELO Part II and The Move (ft. Bev Bevan & Trevor Burton) member Neil Lockwood alongside such illustrious names as Jeff Beck, Steve Hackett and Jimmy Page). elobeatlesforever (elobf) recommends "Drawing Horses" by Dzal Martin to those enlightened folks who enjoy the music of ELO, Jeff Lynne, Roy Wood, The Move, The Idle Race, 'Brum Beat', The Beatles, The Trembling Wilburys and related artistes.